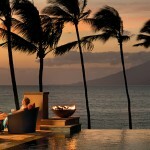 “Stop If You Love Me.” Maui Now graphic. A statewide traffic safety campaign called “Stop If You Love Me” is being launched at schools across the state. The campaign promotes safe driving among youth by teaching them about the dangers of texting, speeding, and drowsy driving. 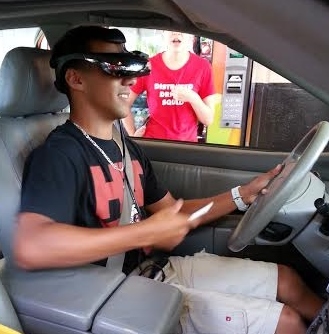 As part of the kick off, Maui High School hosts a school-wide assembly today in which national experts will discuss the dangers of distracted driving. 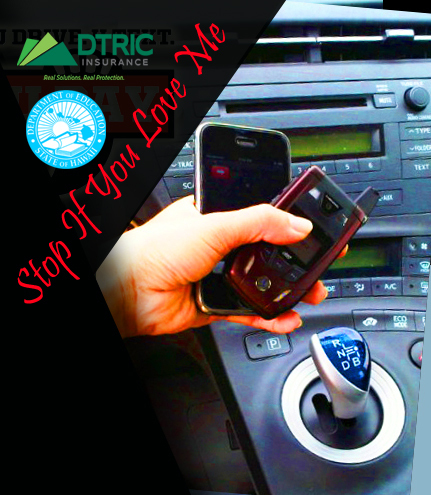 The “Stop If You Love Me” campaign officially runs Monday to Friday, February 8-12 and is sponsored by Hawaiʻi State Driver Education Program, DTRIC Insurance, and Par Hawaiʻi. Thirty-four schools on four islands have committed to participate in the campaign including Maui’s Lihikai Elementary, Baldwin High and Maui High. 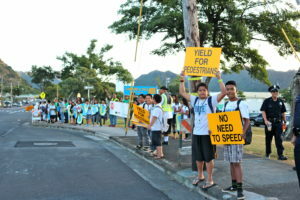 During the campaign, the Hawaiʻi State Department of Education’s Driver Education Program will work with student advocates to push drivers and passengers to eliminate dangerous driving behaviors, such as cell phone use, texting, road rage and speeding, and to also educate young people about the risks those behaviors present. Through various activities at their schools, youth advocates will address the topic of dangerous driving habits with fellow students, reinforcing that such behavior risks the lives of those they love, including themselves. In addition to spreading messages on driver, passenger, pedestrian, and bicycle safety, the students will distribute over 25,000 campaign items, host presentations and sign waving events, and encourage parents to sign a pledge to eliminate dangerous behaviors.